How Acura redefined the supercar. What Acura accomplished when they launched themselves on the North American market was nothing short of miraculous: by concentrating an impressive amount of technologies into all-new vehicles, Honda’s top engineers managed to create a brand that could stand on the merit of its own products. However, while the Legend and the Integra scored well against their competitors, Acura needed something to make themselves known. And what better way to make people talk than to create a supercar? In 1984, Honda dreamed big, internally launching the HP-X project, which aimed at creating a V6-powered mid-engine coupe that could beat the V8 Ferraris of the era while being more reliable and cheaper to buy for the consumer. The lead engineer for the project was Shigeru Uehara, who would go on to create the Integra Type R and the S2000. During development, no expenses were spared: the car was designed by taking cues from F-16 fighter jet’s canopies and their excellent visibility, and a completely new factory was built for the future vehicle. 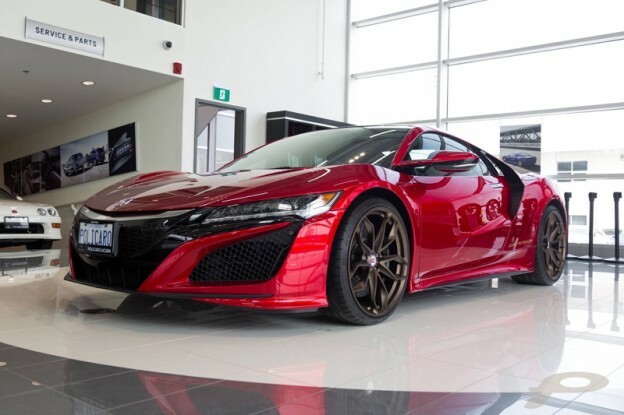 The Honda NSX (marketed in North America as the Acura NSX) would end up being the first mass-produced car to be built completely out of aluminum and would feature futuristic technologies like electric power steering (on some versions) and a 3.0-litre V6 that could reliably rev up to 8,300 rpm. During the final stages of development, Honda even enlisted the help of one of their biggest drivers–Top Formula 1 legend Ayrton Senna drove the car on some of the world’s most renowned tracks and offered inputs on suspension settings and handling tweaks. The bright-red NS-X drew crowds of enthusiastic viewers at the Chicago Auto Show in February 1989. Photo via honda.com. 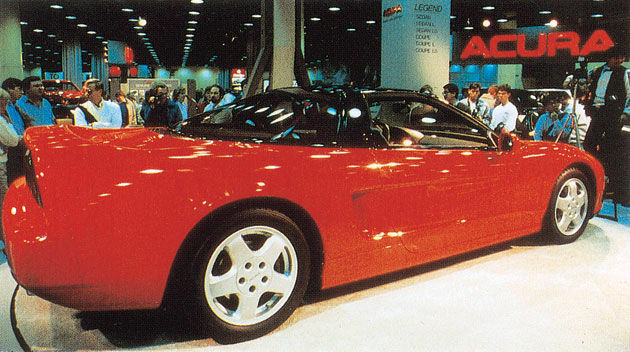 At the 1989 Chicago Auto Show, the public caught the first glimpse of what would become the NSX. Thanks to very favourable comments from the press, the NSX was quickly put into production and was sold in North America in November 1990. The original NSX was not only an amazing car in its own right, it did more than just wow critics; it forced the industry to take notice. From that point, nobody could simply build an unreliable supercar and call it a day. They had to make their exotic thoroughbred more useable on a daily basis. After all, if Acura could do it, they had to, too, right? The NSX got various updates through the years, but it always stayed close to its roots. Finally, in 2005, after having been in production for almost 15 years, the mid-engined Japanese supercar was retired. The first rumours of a new NSX came as early as 2007. Back then, the whispers were about a V10-powered supercar. Following the 2008 market crash, however, Acura chose to can this project and instead focus on an environmental variant. 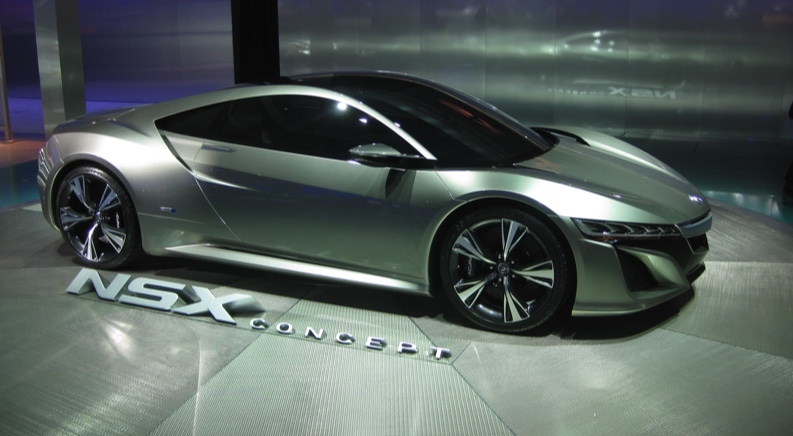 The first concept of what would become the NSX we know today was unveiled in 2012. After many changes in design (like a complete redesign of the engine bay), the production version was finally shown in 2015. 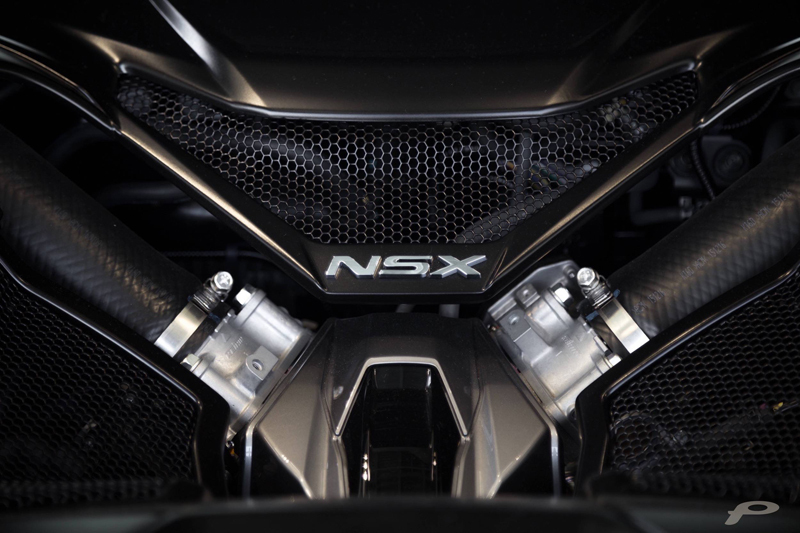 The new NSX was radically different compared to the previous iteration. Instead of minimizing weight, the car now played the high-tech card. It now packed an advanced four-wheel drive system as well as a hybrid powerplant. Its twin-turbo V6 produces 500 horsepower alone; with the help of the electric motors, a total of 573 horsepower are available under the car’s right pedal. The new NSX can go from 0 to 100 km/h in less than 3 seconds, and will eventually hit 307 km/h. The Acura NSX has evolved from a simplistic driving machine to the marvel of modern technologies it is today. However, despite its changes, its reputation for disrupting the supercar industry hasn’t waned. This entry was posted in Blog on March 13, 2018 by Fred Gaulin.